ENJO cleans with cold water only and lasts up to 3 years. Using Fibre Technology, the sophisticated ENJO Fibres absorb the dirt and release them again when washed with soap and warm water. The cold water acts as a solvent to loosen, dissolve and weaken dirt particles. 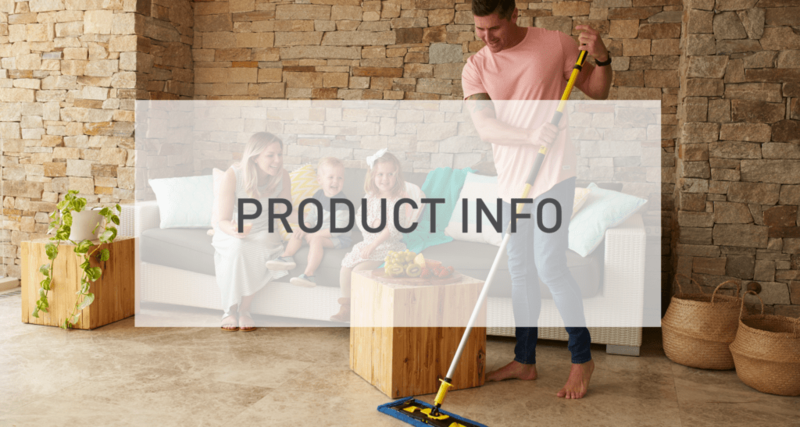 It goes without saying that we have had this scientifically tested and ENJO has become a tried and tested product on the basis of more than 25 years of experience and countless satisfied households. Not only does an ENJO Fibre last up to 3 years, you can say goodbye to toxic chemical cleaners for good leaving you with a safer, healthier and better clean. See for yourself and take control of your future.